Poly-Chem XLPE corrugated chemical hose. 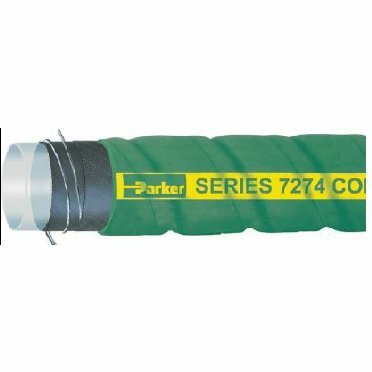 Green flexible suction and discharge hose designed to handle commonly used acids, chemicals and solvents. Crossed linked translucent polyethylene tube reinforced with textile plies with dual wire helix will not leach into and contaminate the product being conveyed. Cover EPDM; corrugated wrapped finish.